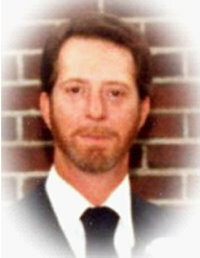 David Rodney (Ron) Headrick, Jr. died of heart failure, shortly after being diagnosed with cancer, with his wife Cathy by his side at the couple’s home in Moscow on Thursday, May 28th.Dave was born on May 11, 1946, in Moscow, Idaho, to the late David R. Headrick, Sr. and Ora Mae (Russell) Headrick. He attended Moscow public schools, and served in the United States Navy aboard the USS Arlington from 1964 to 1968. Dave also served several years on the Moscow Police Department. In 1980 he transferred to the City of Moscow Street Department, from which he retired in 2002. Dave was an avid outdoorsman who loved fishing, hunting, and his beloved Appaloosa horses (which he called “his boys”), Comanche and Cochise. However, by far his greatest joy and passion was always and forever his dear wife, his best friend and the love of his life, Cathy Brausen, whom he married on July 27, 1985. His display of courage, strength, grace, and dignity in the last weeks of his life were an inspiration to the many that knew and loved him. Dave had an especially close relationship with God, a total acceptance of Jesus Christ as his Lord and Savior; therefore, he left this world fully prepared to enter into eternal life in the presence of the angels and saints who have gone before him.He is survived by his wife Cathy of Moscow; his mother Ora Mae Schultz and his stepfather James T. Schultz of Moscow; his daughters Tina Fielder of Virginia Beach, Virginia, Teresa Secrest of St. Petersburg, Florida, and Shirley Headrick; his grandchildren Bobby and Kevin Secrest, and Mason and Monica Fielder; his sister Becky and her husband Clyde Shepherd of Onaway; as well as many nieces, nephews, aunts, and uncles. He was preceded in death by his father David R. Headrick, Sr. and a son Michael David Joseph Headrick.A memorial service with the Reverend Joseph Schmidt officiating will be held Tuesday, June 16, 11:00 a.m., at Short’s Funeral Chapel. In lieu of flowers, donations may be made to Gritman Adult Day Health, 700 Main St., Moscow, Idaho 83843. Online condolences may be left at www.shortsfuneralchapel.net.